NEW YORK — According to recently released results from a CeraVe survey conducted online by Harris Poll among 2,000 U.S. adults, 83% of Americans say their skin feels different in winter than it does during the rest of the year, with six in 10 going as far as calling it “unhealthy” during the season. With dryness (77%) and itchiness (41%) ranking among the top skin descriptors during winter, it’s no wonder that Americans are left searching for relief, which is why CeraVe is helping Americans find their winter itch fix this Winter Skin Relief Day, January 8. According to the survey, dryness (69%), itchiness (51%) and redness (24%) are the most bothersome skin discomforts during the colder months. While 79 percent of Americans say their skin feels better after completing their skincare routine, more than one-quarter (26%) don’t adapt their routine for the winter months, which board-certified dermatologist Dr. Shari Marchbein considers essential for anyone looking to relieve dry, itchy skin. Half of Americans (50%) admit to taking more hot showers during the winter months, but only one-quarter (25%) realize that the hot showers they are taking can contribute to itchy skin. While nearly one-third of Americans (31%) acknowledge that clothing material can contribute to itchiness, 19% won’t avoid specific clothing materials during the winter, despite the risk of itch. Moreover, 57% admit to wearing wool, a material commonly described as itchy, during the winter. Since dry skin may not be completely avoidable, CeraVe is here this winter with products that will help fix the itch by rehydrating and protecting the skin’s barrier, while relieving skin from the drying effects of winter. CeraVe offers a wide variety of therapeutic skincare products that are developed with dermatologists and contain an exclusive combination of ceramides 1, 3 and 6-11, which are essential to restoring and maintaining the skin’s natural barrier. 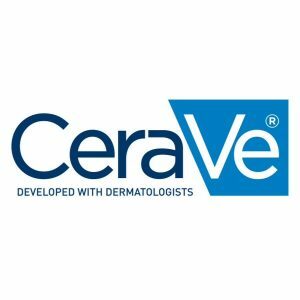 CeraVe® products utilize patented Multi Vesicular Emulsion (MVE) Technology, which releases key ingredients into the skin slowly over 24 hours, allowing them to absorb into the skin to repair, restore and retain the skin’s natural barrier.